There are very few Ocean County municipalities that have experienced a population explosion equal to that of Little Egg Harbor Township. There has been a more than 25% increase in the number of residents in this 73 square mile town during the last decade. This dramatic increase in population has translated to the Little Egg Harbor Municipal Court processing more than 1,000 criminal charges and 3,000 moving traffic tickets in just a the ten month period. The Little Egg Harbor Police Department, as well as the state police patrolling the Garden State Parkway between milepost 56 and 59 are extremely active and file a considerable amount of tickets and summonses in Little Egg Harbor. 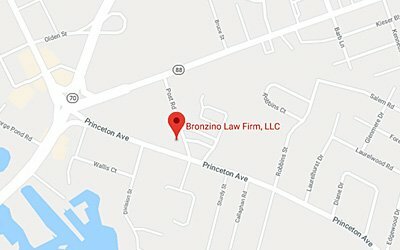 If you have received a traffic citation or been arrested in Little Egg Harbor The Bronzino Law Firm LLC , understands that all municipal court proceeding can be intimidating and confusing. Our team takes pride in working closely with all our clients throughout the legal process to deliver highly personalized and effective legal solutions. We work aggressively and tirelessly to defend your rights and needs in court. The Little Egg Harbor Municipal Court resides at 665 Radio Road, Little Egg Harbor, N.J. 08087 and can be reached by phone at (609)296-7241, Ext. 300 . The judge is the Honorable Damian G. Murray, J.M.C. The Administrator is Deborah A. O’Brien, C.M.C.A. The hours Of Operation are Monday to Friday 8:30 A.M. to 4:30 P.M. and court sessions are held the first & third Thursdays of the month. The Little Egg Harbor Police Department is located at 665 Radio RD. Little Egg Harbor Township, New Jersey 08087 and can be reached by phone at (609) 296-3666. 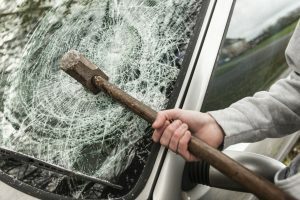 The Little Egg Harbor Municipal Court has limited authority and jurisdiction to decide disorderly persons offenses, petty disorderly persons offenses, town ordinance violations, and traffic charges. The limited jurisdiction of the court doesn’t permit it to decide felony indictable crimes of the first, second, third or fourth degree. Misdemeanor criminal charges heard in the Little Egg Harbor Municipal Court are usually disorderly persons offenses. The municipal court is, however, responsible for deciding all traffic and motor vehicle summonses issued within the borders of the town, these include Driving While Suspended, Driving Without Insurance, DWI, Speeding, Reckless Driving, possession of CDS in a motor vehicle and Leaving the scene of an accident. It is important to know that crimes of the first degree, second degree, third degree and fourth degree are referred to the Ocean County Superior Court for disposition. Because of the active work of both the New Jersey State Police and the Little Egg Harbor Police Department the Little Egg Harbor Municipal Court commonly hears cases involving traffic violations. Many times these are people who are traveling the Garden State Parkway between milepost 56 and 59. The criminal offenses heard in the municipal court may vary greatly. Though they are not felony crimes, they can result in a criminal record up to six months in jail if you are convicted. These include violations like possession of 50 grams or less of marijuana, shoplifting, harassment, obstructing the administration of law, underage drinking, and drug paraphernalia charges among others. It is critical to have an attorney experienced in the Little Egg Harbor Municipal Court as your advocate if you have been charged with a crime or cited for a traffic offense. The Bronzino Law Firm LLC understands completely that the issues in municipal court can impact individuals, their jobs, their children, as well as the rest of their family greatly. Because of this, our attorneys work hand in hand with our clients throughout the legal process to deliver personalized and very effective legal solutions. Our extensive experience makes us the advocate you need when facing any municipal court proceeding in Little Egg Harbor. 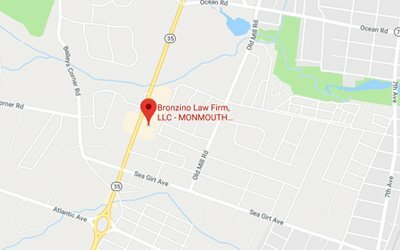 Bronzino Law Firm works diligently to protect your rights of our clients across Monmouth and Ocean Counties. For additional information and answers to your questions, contact the Bronzio Law Firm, LLC, serving Ocean and Monmouth counties. Call at 732-812-3102 or contact us online to schedule a free initial consultation with an attorney to retain the experienced representation that you need.